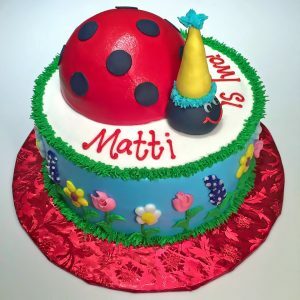 Ladybugs are amongst the cutest of cute little bugs for girls cakes! 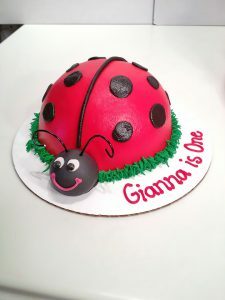 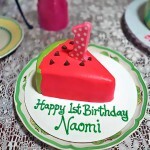 We love incorporating ladybugs themes into our girls cakes. 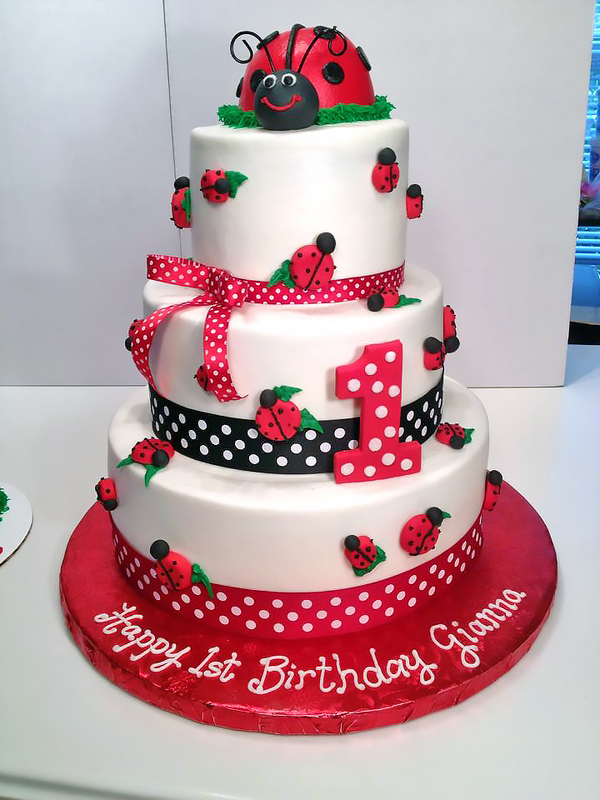 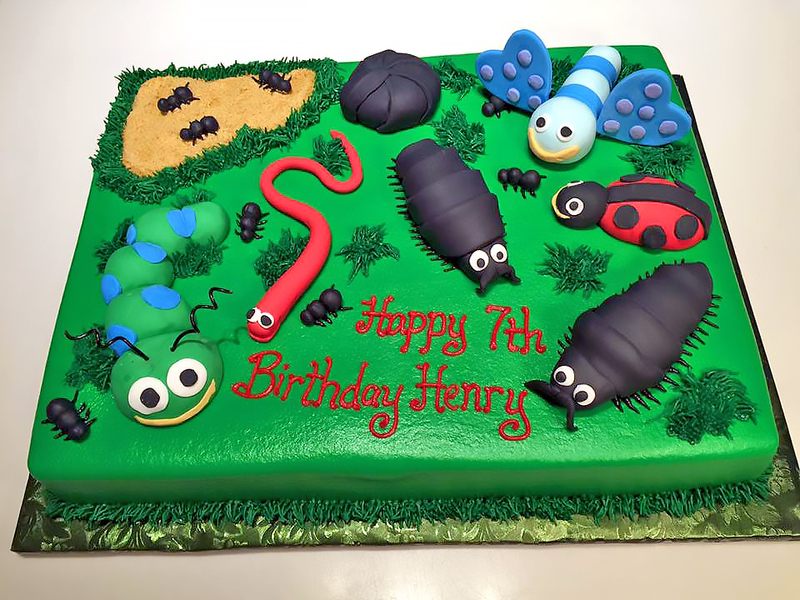 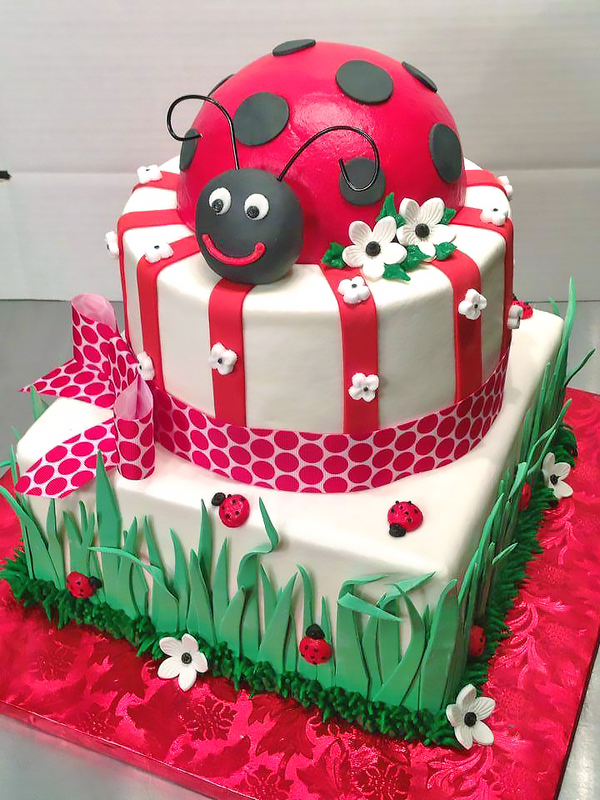 So whether you are planning a ladybug first birthday for your daughter, or just love ladybugs, we can create a custom ladybug birthday cake for you! 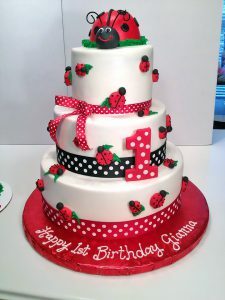 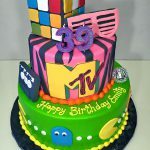 If you have a cake idea in mind you can let us know in your quote request. 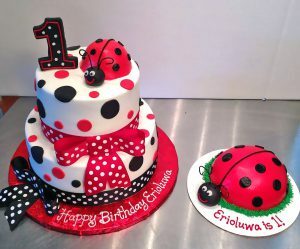 We can also give you more ideas and discuss with you by phone or email. 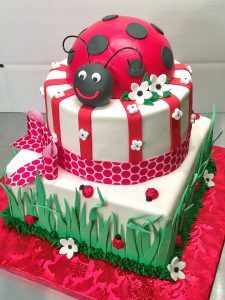 You are welcome to attach a photo of a cake that you like with your quote.